Get a much better sleep quality by adding the best plants for the bedroom to your space. Here are the top 20 live plants to consider. Are you happy with the kind of sleep you get during the night? If you wake up several times and feel tired in the morning, you’re not getting quality sleep. And while there may be numerous factors involved in why that is, you can do yourself a huge favor by making sure your bedroom is clean and fresh to improve your sleeping quality as much as you can. One of the scientifically proven ways to create better space for sleeping is having houseplants in your bedroom. But not just any plants will do. Every plant has its qualities and needs, so you can’t just throw a bunch of greenery in and expect results. Some specific types of houseplants work best in bedroom spaces. Most specifically, the plants that can clean the air of toxins, produce oxygen during the night, or release soothing fragrances are the ones you’d be looking for to add to the bedroom. And don’t forget their aesthetic value too – some pops of color and elegance do well to calm you down. So here are the best plants for the bedroom that will help you sleep much better. 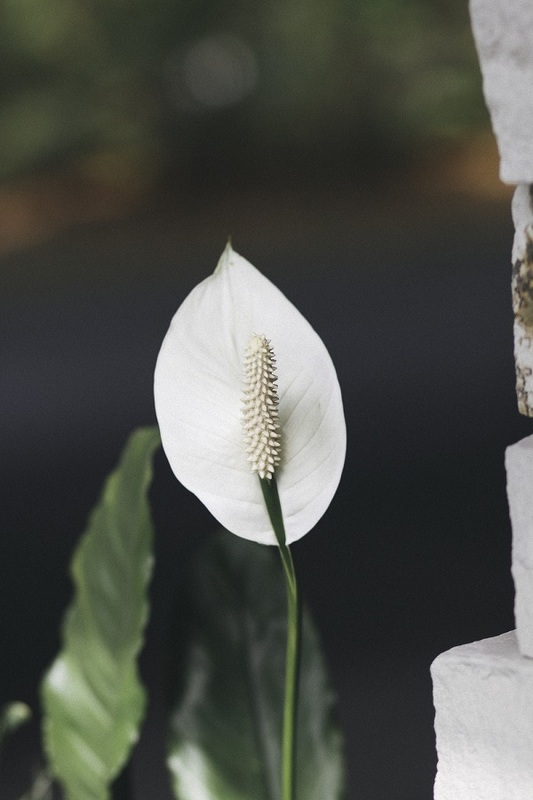 The Peace Lily (Spathiphyllum) plant is easy to care for, and it cleans the air of dangerous toxins. It’s a tropical plant that is used to growing in the shade, so a bedroom with little light is a good environment for it to grow. Be careful, though, it is poisonous if digested, so keep it away from pets and small children. The Parlor Palm plant (Chamaedorea elegans) is a very popular small indoor palm that loves partial shade and humidity. So the bedroom that’s also near a bathroom is ideal for it. This plant is excellent at keeping pests away, and it has a lush green tropical look that will liven up space. So other than keeping the are cleaner it will boost up your mood and help you relax – all which adds to better sleep. English or Common Ivy (Hedera helix) is a plant that is not needy, and it’s hard to kill off even if you’re very far from having a green thumb. It cleans the air of toxins, and it has a lot of decor value as an ornamental plant. You can plant it in a pot or a hanging basket. Placed on a wall shelf an ivy can drape down the wall in a beautiful way. And anything that helps make your bedroom prettier will help you sleep better as well. Ivy also has poisonous sap so keep it away from nibbling pets and the children. Mother-in-Law’s Tongue, as this plant is also known, is a great indoor plant to keep the air fresh and clean. Other than detoxifying qualities this plant gives off oxygen at night which precisely what you need in a bedroom. It’s easy to care for and can easily grow under low light conditions. Though it doesn’t need direct sunlight, the Corn Plant (Dracaena fragrans) loves bright places. So your bedroom has to be reasonably bright during the day – place the plant near the windows. Otherwise, it’s a low-maintenance plant that purifies the air and gives you a tree look in the interior. Keep in mind, though, that this plant also has poisonous sap. Who doesn’t love popping flower in their living space? They indeed are a mood booster. Add to that the fact that Gerbera Daisies release oxygen at night, and you have almost a perfect plant for the bedroom. Almost, because they do need bright light, but they are relatively easy to look after. So make sure you keep them as close to windows as possible. Look at that gorgeous lush little tree plant. It’s the Fiddle Leaf Fig (Ficus lyrata), and it’s the coolest kid on the block as almost any trendy interior features it. And while you can keep it in any bright room of the house for its decor value, you can benefit from it in the bedroom too. Just keep it close to the windows, and it will help you sleep better with cleaner air and relaxing looks. If you’re a fan of big green leaves, then the Philodendron plant will be one of your choices for a houseplant. It’s easy to care for and has excellent air improving qualities. Perfect for the bedroom and higher quality sleep. Spider plants (Chlorophytum comosum) are one of the best toxin removers from the air. If you add just one plant to your bedroom and it’s the Spider plant, you’ll do very good. They aren’t needy and can thrive in the shade so you can easily add them to just about any bedroom. You may know Aloe Vera for its benefits as it’s used in many beauty and health products. But did you know it can help you sleep better too? While it does need a lot of bright light, keep it on the windowsill in your bedroom for a lot of extra oxygen that the plant releases during the night. Another great plant to hang in the basket is the Pothos also known as the Devil’s Ivy. It will cascade down a bedroom wall nicely and remove those toxins from the air to help you sleep better. You’ll not have a hard time looking after it either – just minimal sunlight and occasional watering will be enough. Air purification aside, when it comes to calming you down for better quality sleep there might be no better plant than Gardenia. It can be pretty demanding to care for, and it needs a bright room, but its fragrance is known to have a tremendous calming effect. So if you need results, this might be the plant to invest in. Another beauty that will put you to sleep with its lush looks and air purifying qualities. You’ll love it for its low maintenance and decor value. We do need to mention that its sap (of which rubber is made) is poisonous so keep an eye on your pets and children. Perhaps the most surprising plant on the list, but Pineapple pants have great oxygen producing and air purifying qualities. So they are very welcome in the bedroom. Add to that a stylish hip look of the pineapple, as well as the fact that someday it can grow fruit. Don’t count on it though; it takes over two years to produce one. Known by many names, this beautiful palm plant is a lovely way to bring some calming nature to your bedroom. As most of the plants, it has air purifying qualities and it keeps pests away. It can grow pretty large too so that it will make a big decor statement. A most welcome addition to your bedroom. The fragrant Jasmine has a significant calming effect on your body. So when it comes to improving your sleep, it’s an excellent addition to the bedroom. Try it together with some other plants on this list for the best air purifying and calming effect. The lavender scent is proven to have a calming effect and reducing anxiety levels in your body. It’s a great sleep improver, so having the scent in your bedroom is an excellent choice. But instead of one of the many products available, why not choose a natural plant? Valerian is used in medicine to treat sleep disorders. If the plant has such a powerful effect, why not keep it in your bedroom for this quality. The sweet, fragrant scent will soothe you into better sleep. Not to mention the small pink blossoms look pretty. Orchids are one of the most beautiful and delicate flowers. They do require a lot of care to keep them alive. But they make a place look harmonious. And that’s the exact quality we’re looking for in a plant that would calm you down for better sleep. Bromeliad is a whole family of plants which are colorful and flowering – a very popular houseplant in home decor. They are easy to look after and thrive perfectly fine in most common indoor conditions. If you want to make your bedroom a cozier and a calming place in general, you’ll do good to add a Bromeliad or two.